Airport Waterfront Inn Make your day hotel stay enjoyable and comfortable by booking your day stay at Airport Waterfront Inn. 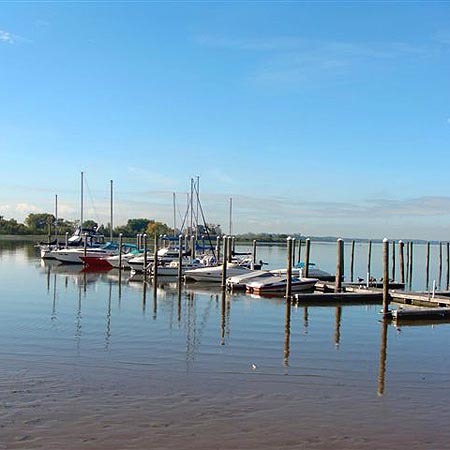 Guests of the Airport Waterfront Inn enjoy panoramic views of the Delaware River and marina. 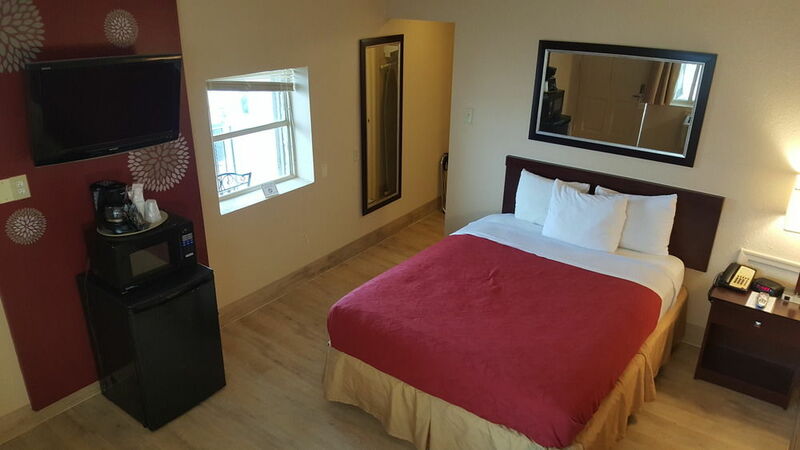 With its convenient location, friendly staff, and comfortable rooms, this transit hotel is a great option for spending the day in the Philadelphia area. 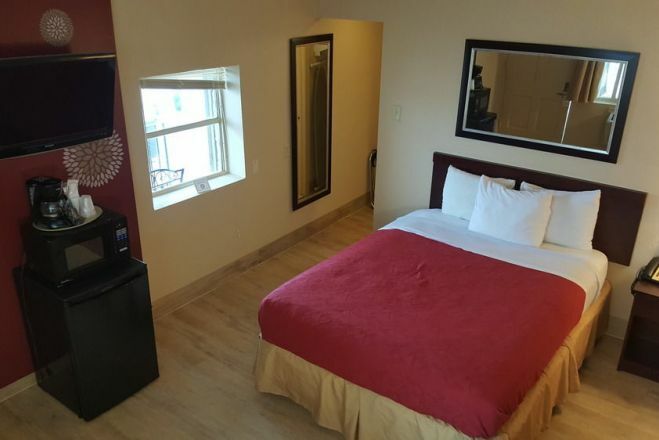 Whether you’re in Philadelphia for a flight layover, traveling for business, or looking for a place to relax for the day, the Airport Waterfront Inn is comfortable, affordably priced and conveniently located. 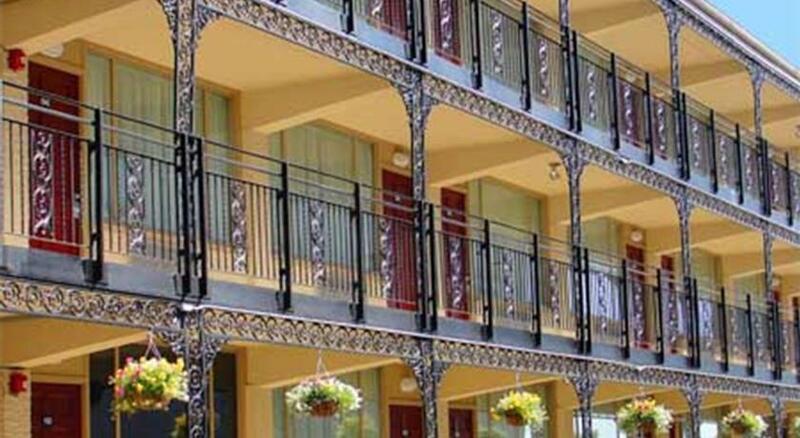 Book your hotel day stay at the Airport Waterfront Inn in Philadelphia with Hotels By Day today! The Airport Waterfront Inn is located on the Delaware River Waterfront in Essington, PA, and is just minutes from the Philadelphia Airport. Downtown Philadelphia with its wealth of cultural, historic, and entertainment options is a short drive away. For business travelers, you’re in a central location between the airport and many headquarters like Boeing, UPS, Sunoco, and Philadelphia Navy Yard, making it a prime place to prepare for meetings. 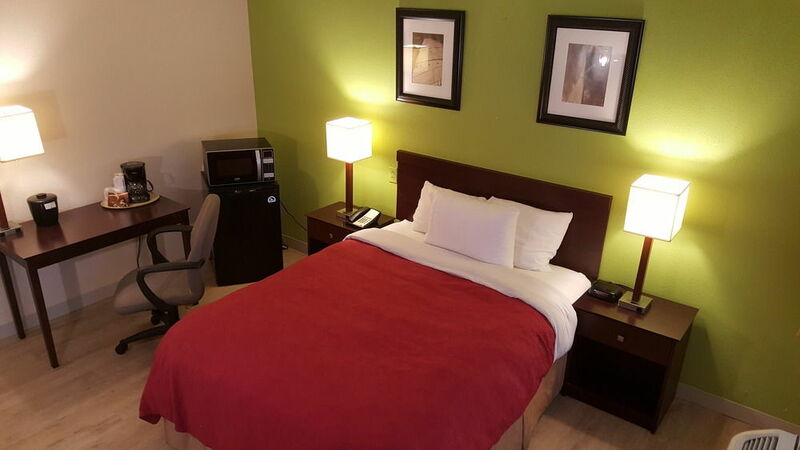 Philadelphia International Airport - The Airport Waterfront Inn is just a short drive from the Philadelphia International Airport and a convenient spot for travelers to rest on a long layover. The hotel offers shuttle service to and from the airport to make things easier for traveling guests. Shuttle service - Complimentary Hotel shuttle is available 24/7 and must be scheduled by calling this number: +1.610.521.1400. Governor Printz Park - The Airport Waterfront Inn is adjacent to Governor Printz Park. The park is located on the site of New Sweden, which was Pennsylvania’s first European settlement. It’s a great place to get a breath of fresh air, take a stroll, or go on a jog with views of the river. Philadelphia Sports Complex - Between the Lincoln Financial Field, Wells Fargo Center, Citizens Bank Park and Xfinity Live! the Philadelphia Sports Complex caters to every sports fan. Given its close proximity, the Airport Waterfront Inn is the perfect place to stay before a big game! Parking Details - Free parking is available for hotel guests. 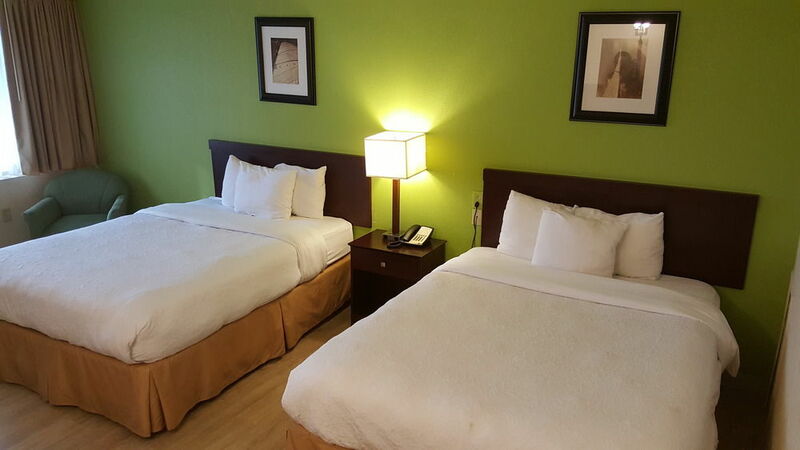 Room Accommodations - The rooms at the Airport Waterfront Inn feature premium bedding, refrigerators, microwaves, ironing boards and irons, coffee makers, and LCD TV’s to make your hotel day stay as comfortable and convenient as possible. Hotel Amenities & Services - Aside from its friendly and cheerful staff, The Airport Waterfront Inn offers free parking with space for recreational vehicles and complimentary high speed internet access so you can maximize your efficiency during your day stay in Philadelphia. Laundry and airport shuttle services are also available upon request. Deck Restaurant & Bar - The hotel has a great on-site restaurant with outdoor seating overlooking the water for guests who want to grab something to eat during their stay. Enjoy a drink at the bar, order classic American staples off the menu and take in the spectacular views of the river at the Deck.